The Forensic Investigator will respond to crime scenes for the purpose of documentation, evidence collection, preservation, and packaging. Responsible for performing basic chemical, physical, and optical scientific techniques to locate physical evidence and to recover, compare, and identify fingerprints left at a crime scene. 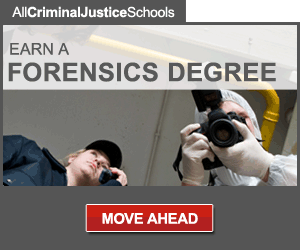 The Forensic Investigator will analyze evidence in the Crime Laboratory using various chemical and optical techniques to recover physical evidence. Respond to calls for forensic services from department personnel. 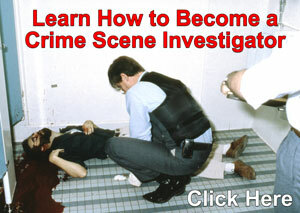 Process crime scenes for evidence. Collect evidence discovered during the investigative process. Preserve evidence and maintain the chain-of-custody according to current best practices and standards. Examine and determine techniques and procedures to be used in the development of latent prints on diverse items of physical evidence by using physical, chemical, optical, or any combination of techniques appropriate for the item being examined. Preserve and/or photograph latent print evidence, and makes necessary comparisons with known inked impressions. Photograph items, persons, and scenes as needed or requested. Write supplement reports that accurately describe their activities, involvement and observations in crime scene investigations. Complete forms and other paperwork as needed or required. Testify and present evidence in court when requested. Safely operate FIU vehicles in accordance with governing laws and policies. Transports property, evidence, or other materials as required. Adhere to all laws, policies, procedures and rules applicable to the FIU. Follow all firearms, hazardous materials and general safety protocols. Attend training sessions and seminars as required to improve job performance and to stay current with changing policies, procedures, codes, and criminal/civil case law. Adhere to assigned work schedules as outlined in City and department attendance policies and procedures. Work extra hours or irregular shifts, including days, evening, nights, weekends and Holidays when required. Operate a personal computer, general office equipment, or other equipment as necessary to complete essential functions, to include the use of word processing, spreadsheet, database, mobile data computer (MDC), e-mail, internet, or other computer programs. Maintain manuals, policies/procedures, bulletins, logs, and other materials for reference and/or review. Communicate with supervisors, officers, co-workers, dispatchers, emergency/medical, fire, and jail personnel, court officials, attorneys, victims, other agencies, and other individuals as needed to obtain information, coordinate activities, review status of work, exchange information, or resolve problems. Create and maintain positive public relations with the general public. Any work related experience resulting in acceptable proficiency levels in the above Minimum Qualifications may be an acceptable substitute for the above specified education and experience requirements. Must pass a drug screen, polygraph, driving record, and background check. The ability to review, classify, categorize, prioritize, and/or analyze data. The ability to coordinate activities, projects, and programs. The ability to operate and use equipment or power tools to perform essential job functions. The ability to perform basic mathematics, calculate decimals, fractions and percentages, and to interpret graphs. The ability to interpret verbal and/or written instructions, and to exercise reasonable judgment to adopt or modify methods and procedures to meet variations in assigned objectives. The ability to perform semi-skilled coordinated movements, such as those required to operate motor vehicles. The ability to work in a team environment; contribute as a team member and treat co-workers, subordinates and others with respect.